The Tufts Museum Studies Blog has previously written the Zeitz Museum of Contemporary African Art (MOCAA) last year when Editor Kelsey Peterson addressed issues of diversity among the Museum’s staff. The privately funded art museum, often referred to as “Africa’s Tate Modern,” is the continent largest museum in the world dedicated to African art. 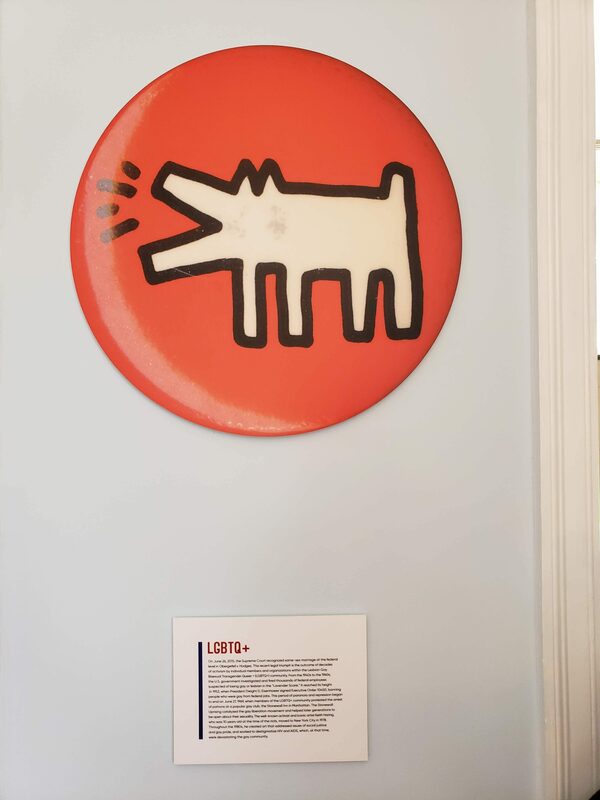 In the two years since it’s grand opening the museum has faced many debates and controversies including the resignation of Executive Director and Chief Curator Mark Coetzee over allegations of racial and sexual misconduct and criticism regarding how accessible the museum is for the general public. MOCAA is in fact quite expensive at 190 rand approximately $14 USD. This may not seem exorbitant for museums in the U.S., but when compared to other costs in Cape Town, for example a Wagyu Steak Tartare dinner at a nearby posh waterfront restaurant is slightly less, it is an understandably unaffordable price for a city rife with economic and racial segregation. As I found out on my recent visit to Zeitz MOCAA, the institution does its best work when it is being self-reflective through grappling with these thoughts and ideas of representation, accessibility and institutional power. These ideas are best represented in the exhibition The Main Complaint, which opened to the public in November of last year and will be closing at the end of this week. 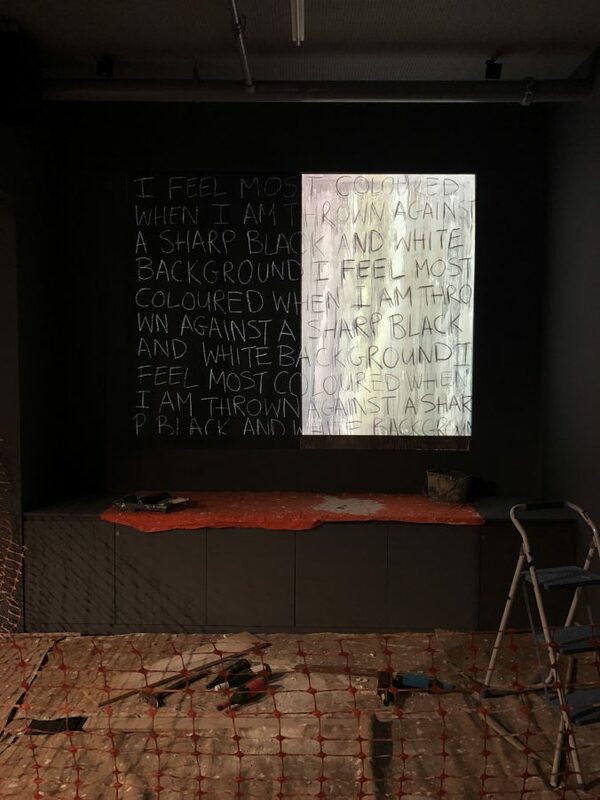 The Main Complaint is an infiltrating exhibition highlighting systematic, institutional failures, in an attempt to contextualise, recognise and repair. The exhibition exists as an ongoing series of interventions by museum staff and invited artists. The Main Complaint is not confined to this exhibition space. The project exists as an infiltrating and sprawling series of interventions, workshops, talks and off-site programs – all of which will, in some form, end up in here. It’s unclear what this space will become. It may become claustrophobic and unaccommodating. Or perhaps it will generously harbour a collection of beautifully synchronised works and a range of alternative ideas. The role of technology is an integral theme throughout, as an indicator of intergenerational communication, memory, modes of representation, accessibility, agency, and ultimately, a facilitator of collaborative, responsive change. How much time are you willing to invest in the process? According to Zeitz MOCAA Assistant Curator Michaela Limberis, the idea for The Main Complaint came from the idea of wanting to respond to the conversations surrounding the institution. The title is adapted from William Kentridge’s 1996 film, The History of the Main Complaint, which looks at white capital, power, and responsibility through the protagonist’s self-reflection while questioning what progress has been made. 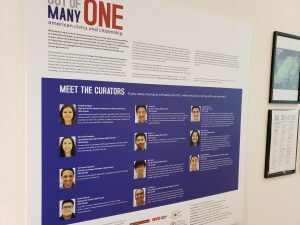 In an interview with ART AFRICA, Limberis described the importance of this exhibition for the young institution “some people perceived that there was a lack of communication between the museum and voices in the arts community, and believed that there wasn’t a sense of collaboration in the approach. As an institution that aims to be a representative of the African continent at large, there was an opportunity to being open to dialogue.” The artists explore many common themes of “access, value, representation, and ownership” within an institution. The exhibition is in the in the Museum’s Centre for the Moving Image space, and as such relies heavily on film. 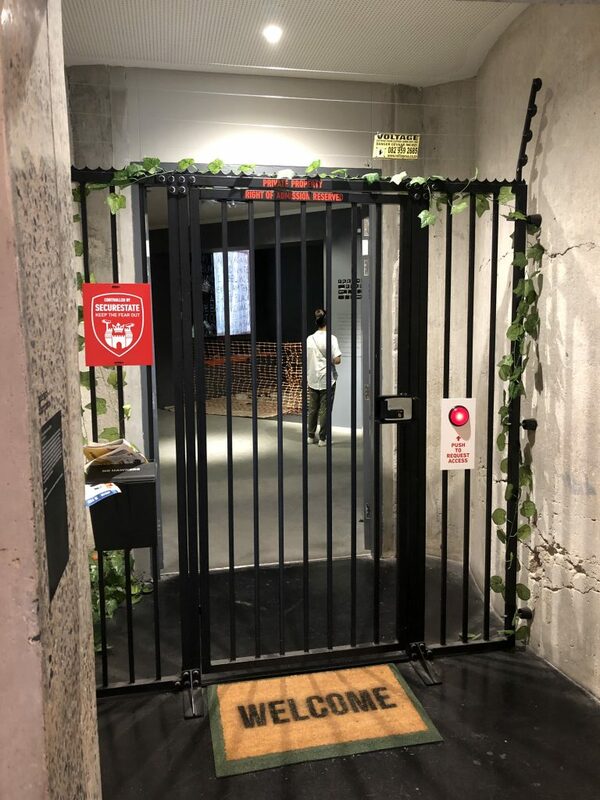 Upon entering the space you are greeted by a foreboding security gate complete with a soundscape to set the scene. The piece, entitled “Right of Admission Reserved,” by Gaelen Pinnoch appropriately sets the tone for the rest of the exhibition. The piece is a physical barrier at the entrance to the exhibition space, access to which is only granted through pressing the “request access” button. The artists aim is to make viewers feel intimidated by the gate and/or the access control procedure. According to the label, the piece is an attempt to “distill the sense of exclusion, usually imparted by covert expressions of power, control or authoritarianism in the built environment, into something physical and explicit.” The work manifests into physical form the feelings many have towards cultural institutions. By having this piece at the entrance to the exhibition space, it helps to set the tone to complaints of access and power within cultural institutions. And sometimes I wonder if these big systems broken and hurting also, and maybe they want to get better but only way how they can get attention is by acting out and doing things we wish they won’t. If I ignore them maybe they will fall in with a bad crowd and get worse, maybe they will be pressured into being a badder system. But if I try to hug them they will push me away so hard I tumble and break my heart and never want to go back. 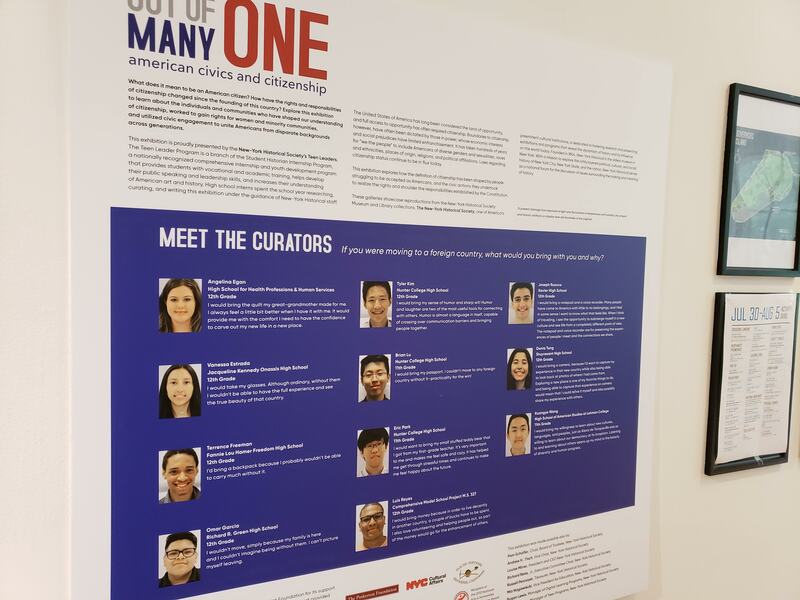 I was interested to see how many artists were willing to have their voices included in the exhibition and even more so in the institutions willingness to present narratives in which the Museum and cultural institutions as a whole were not always depicted in a positive light. I think overall Zeitz MOCAA excelled most in their exhibits that provided more self-reflective, meta looks at cultural institutions and the art world. I am curious to see how the Zeitz MOCAA will continue to progress with attempting to break down power structures and barriers to access and representation. As Limberis mentioned, as a young museum, Zeitz MOCAA has a lot of room for experimentation and that could bring the museum to the forefront as a leader in the museum world. I look forward to keeping an eye out for what they do next. If you ever find yourself in Cape Town head to the V & A Waterfront for a visit to Zeitz MOCAA. I recently had the pleasure of going on a tour of the New-York Historical Society‘s special exhibit on Citizenship, entirely curated and presented by Teen Leaders. The exhibit is located on Governor’s Island, a park in New York Harbor that hosts a variety of art installations, food trucks, performances, and other events and activities. 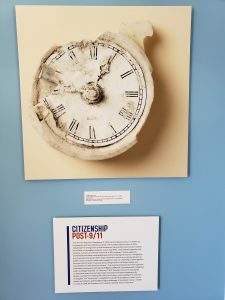 A decommissioned military base, exhibits are hosted in the homes of former military officers, making for an interesting backdrop for an exhibit on citizenship. The Teen Leaders are part of a multi-year Student Historian Internship program at the museum. After completing a summer as a Student Historian, returning students can become Student Curators or Educators. 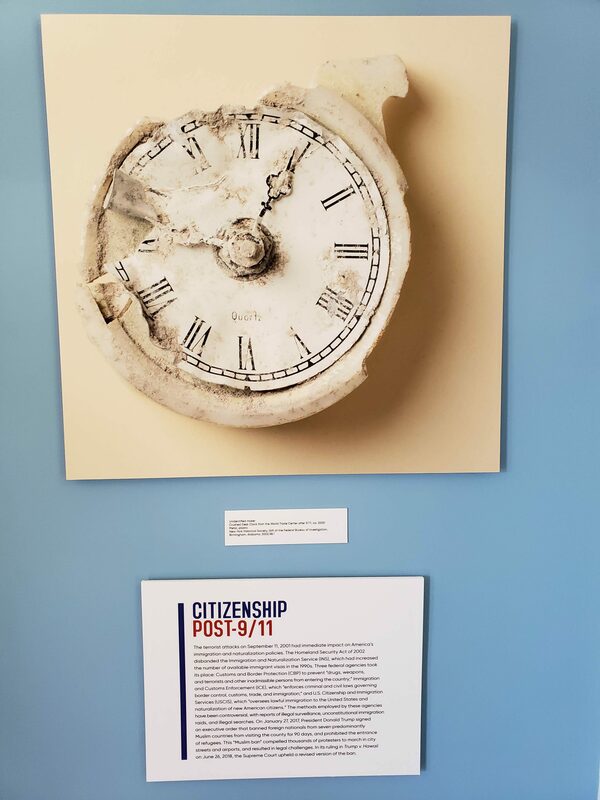 Using New-York Historical’s collection as the basis for their research, last year’s crop of curators created a survey of US history through the lens of citizenship – who has it, who determines eligibility, and how those questions have shaped the United States of America. 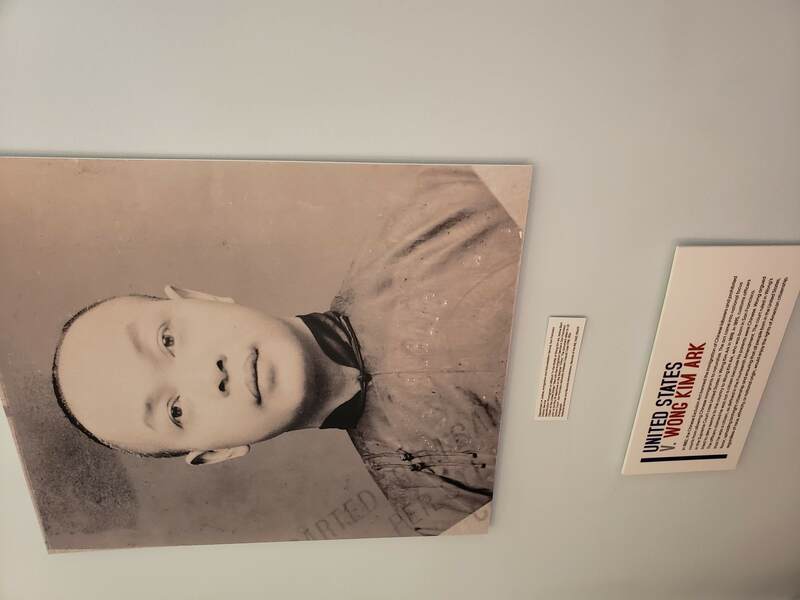 The exhibit moves through ideas about who was originally granted citizenship, when different groups of people agitated for full citizen rights, and moments when factions took action to rescind rights from certain groups. 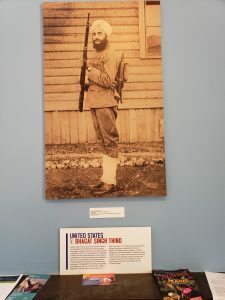 The exhibit does not shy away from discussing complicated moments from the United States’ past, and takes care to include a wide representation of “Americans”. Native American citizenship is covered, as well as the Chinese Exclusion Act, the Sedition Act, and the 14th and 19th Amendments. 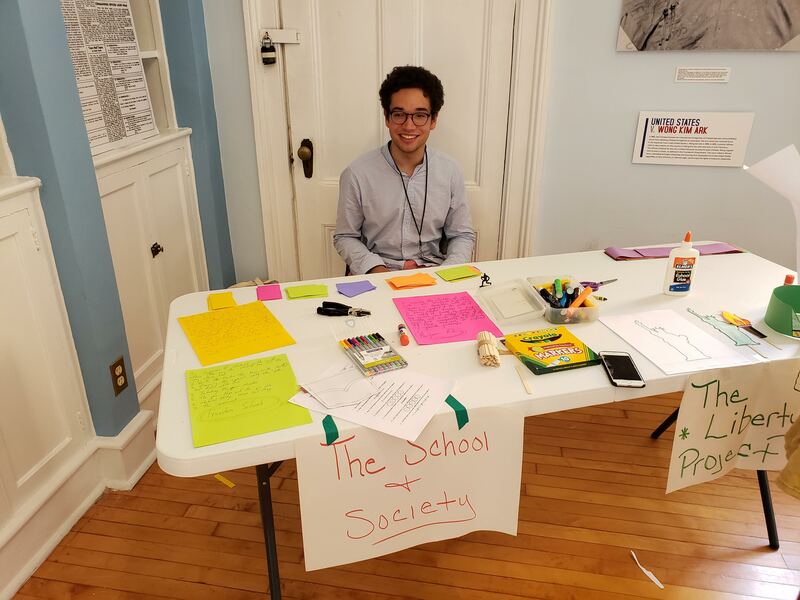 Once the objects are selected (and reproduced), labels written, and the exhibit is hung, a second group of Teen Leaders focusing on Education arrive for the summer. 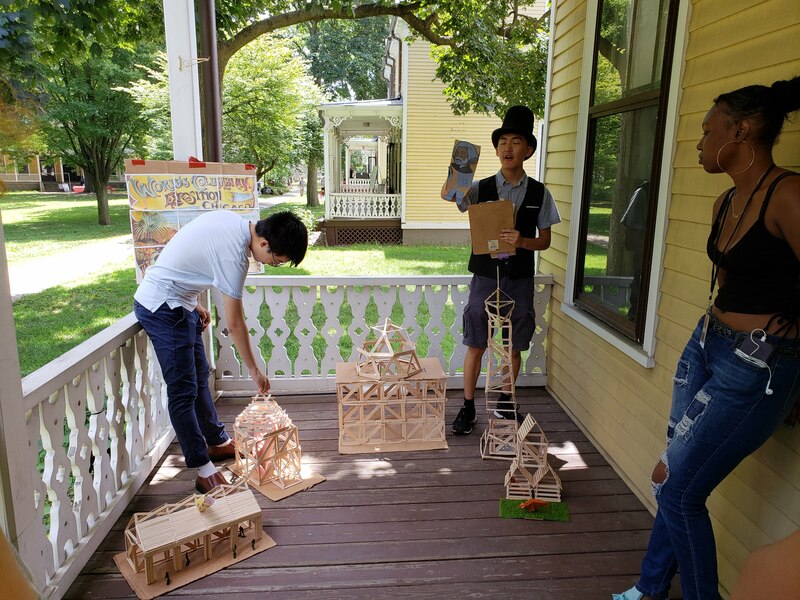 These teens take the curators’ work and develop interpretive content for the exhibit that they lead families in all summer, including theatrical presentations and hands-on activities. It was these students that we interacted with as we went through the exhibit, and their enthusiasm and intellectual curiosity was equally on display. The Teen Educators led us in activities that asked us to engage with the material presented. 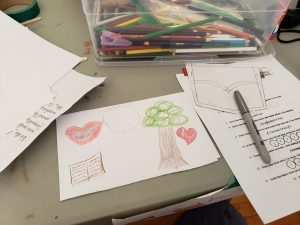 We created scrapbooks about rights and responsibilities of citizens; connected new images of America to parts of the exhibition; read and responded to quotations about education in America; created flags that represented our own personal identities and values; and even watched an interactive theatrical performance featuring historical figures. The creativity and variety of the activities really encouraged audiences to think deeply about the topics covered, but also contained enough variety to be appropriate for every age range. What struck me most as I read the labels and played the games was how well these Teen Leaders grasped the importance of their subject. 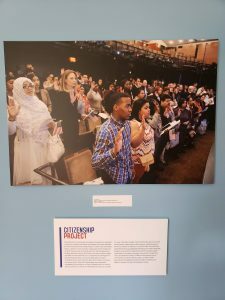 These students have not shied away from the complicated history of who gets to be an American, and done it deftly with fewer than fifty images, highlighting people and events that challenged or upheld the status quo. It was a welcome reminder that teenagers are ready to work with difficult concepts, whether in the classroom or in an informal learning environment. As emerging museum professionals we should keep their abilities in mind as we plan their field trips and learning experiences. Like many museum lovers, a visit to an unfamiliar city is a chance to discover new museums. Being in the museum field, those visits are an invaluable chance to find inspiration, see museum trends in action, and gain new ideas for future practice. Never have I found this to be more true than with a recent visit to Indianapolis and the Eiteljorg Museum of American Indians and Western Art. This one-of-a-kind museum exemplifies what it is to be a modern museum focusing on interactive displays, shared authority, and visitor experience. But more importantly, the Eiteljorg is a decolonizing museum, representing indigenous people and cultures not as relics of the past, but as contemporary and still here. By 1991 the museum had formed the American Indian Advisory Board, this board would work directly with the museum’s administrators, curators, and collections staff to provide guidance, assistance and direction in all matters associated with the art, history, and culture of native peoples of North America. One of the main takeaways from the advisory board was the need for the museum to create a distinction between ownership and stewardship in relation to sacred and sensitive objects. 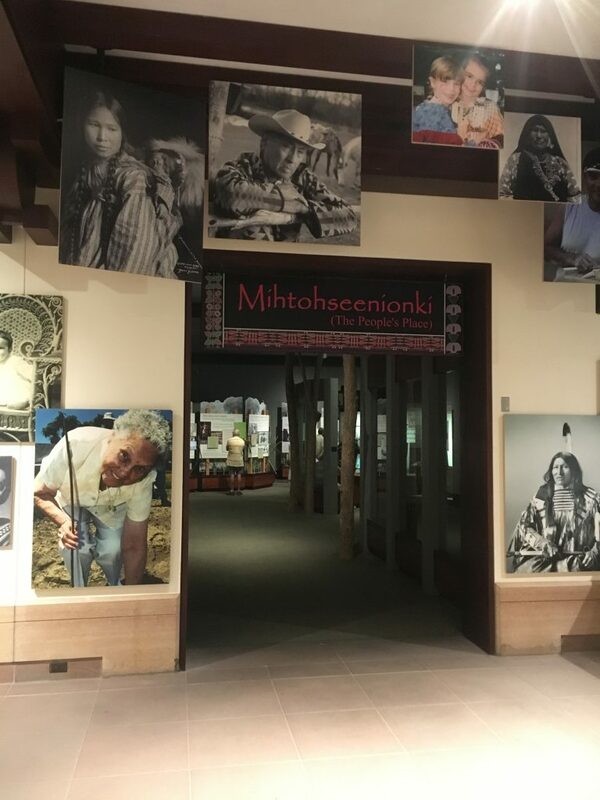 In 2002 the museum continued to indigenize museum spaces with the opening of a new permanent gallery, Mihtoseenioki: The People’s Place, created in collaboration the advisory board and representatives from local tribes. 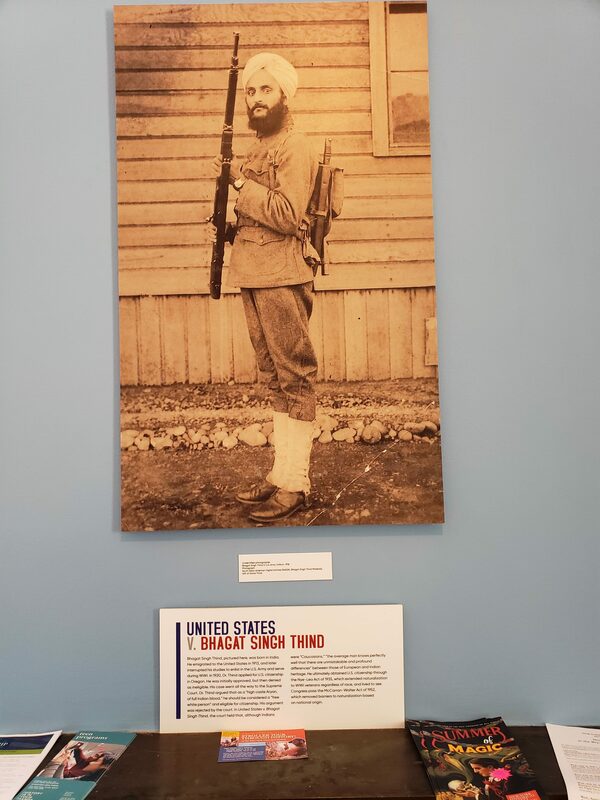 The exhibit was opened to interpret the Miami, Potawatomi, Delaware, and other tribes who were and still are an important part of the state’s history and culture. It was in this exhibition I felt the most inspired, intrigued, and moved. Mihtoseenioki tells the stories, both past and present, of the original Miami people as well as that of other tribal groups that moved into the current state of Indiana as the result of European conquest and expansion. The written panels were written by members of native communities and curated by Ray Gonyea an Onondaga Iroquois. While many museums have been accused of presenting indigenous people and cultures as historical and ethnographic this exhibition leaves visitors with the knowledge that indigenous people are still here and that tribal cultures are still being practiced. This same theme was carried through the rest of the Eiteljorg’s art galleries. The gallery space was organized not chronologically but geographically with historical and contemporary art side by side. 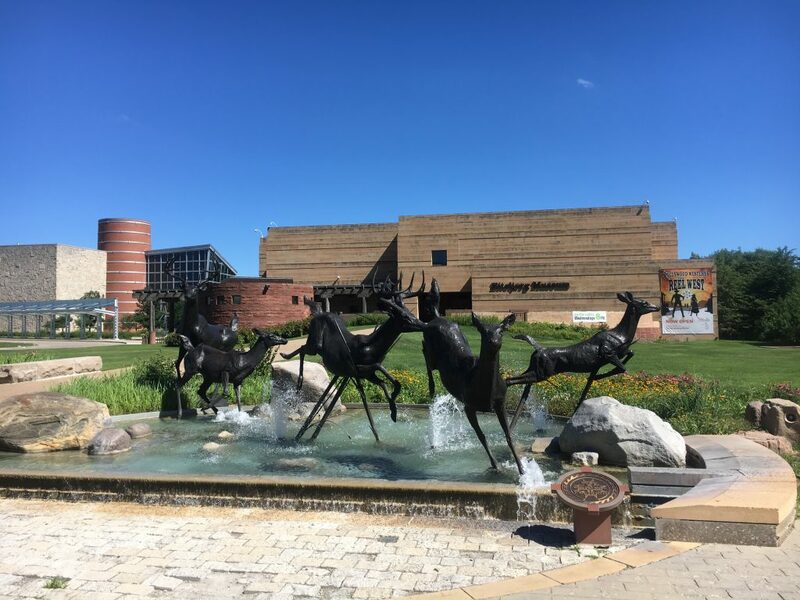 While I was most affected by the Eiteljorg’s decolonizing efforts, the museum further impressed me with their commitment to improving the visitor experience. This was made clear through the incorporation of different evaluation tools throughout the exhibition, encouragement of visitor feedback, multiple hands-on, participatory, and interactive exhibit elements for visitors of all ages. As museum practitioners, I encourage us all to keep and eye on the Eiteljorg Museum and any future innovations they may take. This exhibition review comes from Max Metz, who is in his second year in the Masters of Museum Education program and is the Manager and Anne Larner Educator at the Durant-Kenrick House and Grounds of Historic Newton. To see more of Max’s contributions to the blog, click here. The Irish Atlantic: A Story of Famine, Migration, and Opportunity is at the Massachusetts Historical Society (MHS) from March 10th, 2017 to September 22nd, 2017. (Photo of Entry) (Photo: Signature Object – Ship’s Wheel) The exhibition tells the story of the importance of the Irish in Boston and the reasons behind their tough journey across the Atlantic to the U.S. Focusing on the 18th and 19th centuries, The Irish Atlantic articulates the various phases of emigration to Boston, from Presbyterians fleeing the harsh economic realities of Ireland in the 18th century, to the hordes fleeing famine in their homeland caused by potato blight in the middle of the 19th century. Curators paid attention to the perception of Irish immigrants by Bostonians and revealed the harsh criticism and discrimination they faced as they began to assimilate into US culture. Centering around religious, familial, and political centers, The Irish Atlantic shows the strong identity that immigrants created by blending the old and new world views over successive generations. The exhibit is organized around its subtitle: famine, migration, and opportunity. Although the interpretive trail is somewhat ambiguous through the exhibition, I believe if visitors interacted with at least two screens and read 50% of the label text, they would have left with this enduring idea. As a strength, the exhibition was able to tell this story with a unique pairing of three-dimensional artifacts and historic archival material. The space’s elegance lent itself well to the overall look and feel of the exhibition. 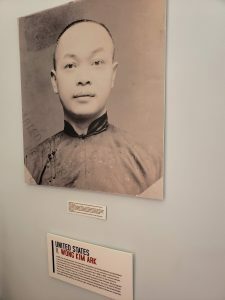 (Photo: Exhibition Quote) Although I personally appreciated the regal ambiance of the space, it was difficult to associate the feel of the exhibition to the fatigue, famine, frustration felt by immigrants as they arrived to the city. Simple, muted Irish colors and intentional placement of Celtic symbols aided the visitor in connecting previous experiences or stories with the Irish to the exhibition. This exhibition was successful in in that the main text panels and smaller object labels used large text size and simple font that was very easy to read, yet stylized. The lighting was very good and illuminated the visitors’ choices and options for learning and viewing diverse portions of the exhibit, making them feel in control of their own experiences. (Photo: Visitors’ Choices) Unfortunately, thinking constructively, there were no convenient places to rest in the entire exhibition. Additionally, it was difficult to hear with the loud HVAC system and the competing video panel soundtracks when used simultaneously in the space. Furthermore, when arriving to the exhibition there were no orientation signs telling visitors where to start and what galleries were part of the exhibition. This caused the visitor to enter and walk to the right, focusing on two signature artifacts (a harp and a ship’s wheel) and then entering a portrait gallery not part of the exhibition. 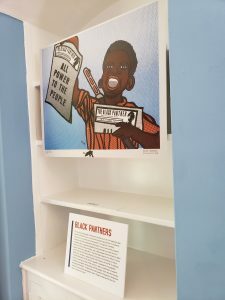 Lastly, although I believe the content of the exhibition was most likely designed for the organization’s primary audience, I do not believe that its language welcomed people of different cultural backgrounds, economic classes, or educational levels – i.e. the average person off the street. 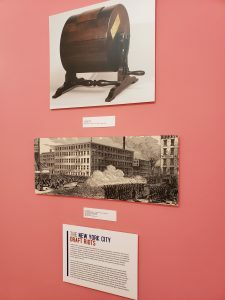 The physical environment was designed successfully – interesting and inviting exploration – partly due to the good look and feel of the exhibit, great color choices, and interesting architectural features of the historic building. Exhibits caught my attention and enticed me to slow down, to look, interact, and spend time attending to many elements. The exhibition had a large variety of videos that could be played on their five different touchscreens, had graphic explanations of data, included artistic endeavors of immigrants, and focused on the religious experience of many immigrants. (Photo: Imagery) Although the videos were engaging, they were difficult to use, even as a digital native. During my time in the exhibition watching 10+ visitors use the space, not one visitor used the screens. 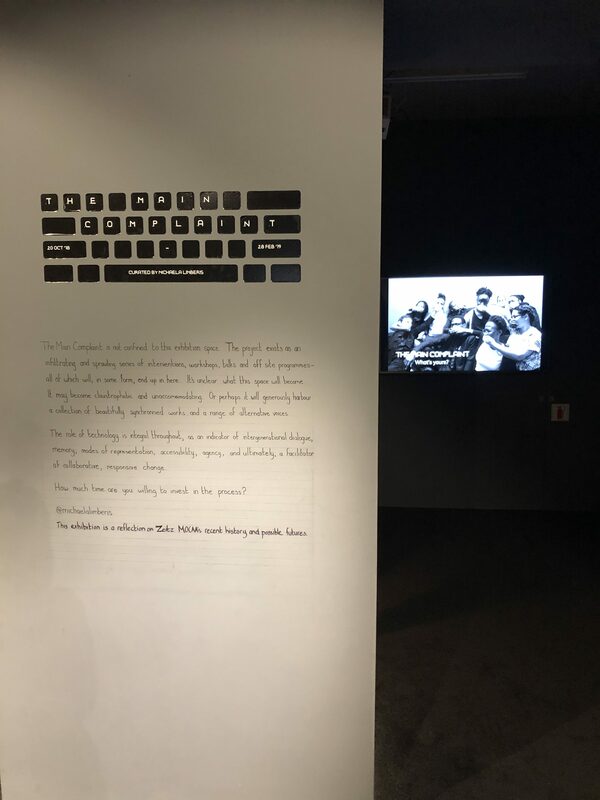 (Photo: Touchscreens) I believe without the videos the visitor does not get the full story and connections between the somewhat disparate sections. The exhibition in general did not encourage social interaction. I did not hear a single visitor conversing about the exhibition topics or exhibition material, or talking at all for that matter. I do believe that the information and ideas in different parts of the exhibition were complementary and successfully reinforced each other, albeit not necessarily well communicated with orientation signs. (Photos: Reinforcement) The exhibition was a bit overwhelming and daunting due to the amount of labels, archival text, and an unknown size of the exhibit in general. I often had to read labels in a series a few times before I was able to get the complex timeline of events to create the context in which to view the other artifacts. Although in retrospect I saw the organization of the exhibition as the subtitle (famine, migration, and opportunity), I did not note that logic in the moment. I think this could have been because of the lack of orientation at the beginning as well. Ideas and objects in the exhibition were made relevant to and easily integrated into the visitor experience. 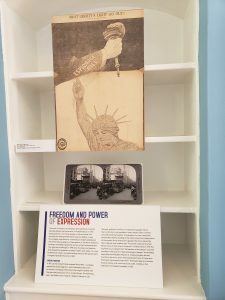 The juxtaposition of paintings and artifacts encouraged the visitor to engage with the archival text materials and were supported by other archival images. (Photo: Supporting Artifacts) Furthermore, the exhibition made a case that its content had value. Especially in this time in the U.S., the material was timely, important, and resonated with the visitors’ values. As good exhibitions do, The Irish Atlantic touched on universal human concerns and didn’t shy away from deep or controversial issues. I do believe it could have gone farther and asked visitors to ponder questions of the time, however I think the content was relevant and universal in its themes. 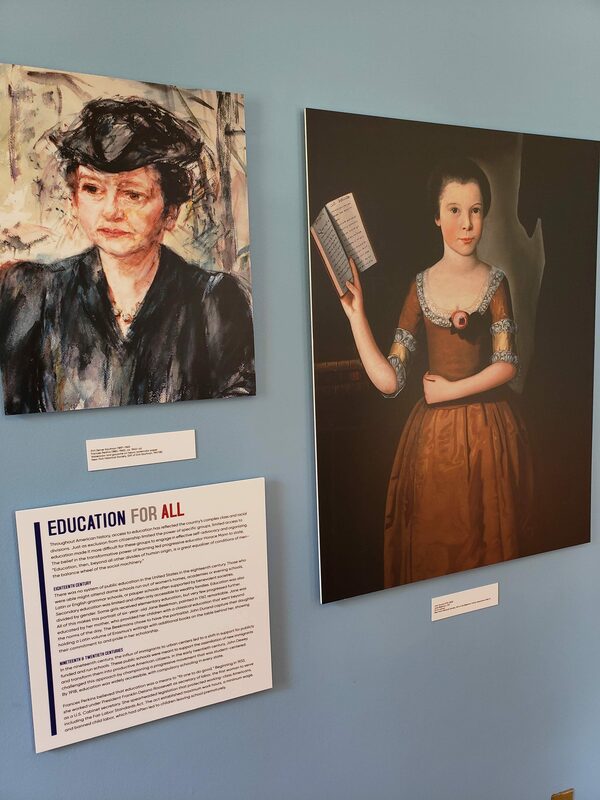 The exhibit experience promoted change in people’s thinking and feeling, even transcendence with regard to Irish immigrants and historically Irish-American communities. The exhibition gave visitors the means to make generalizations and change their beliefs and attitudes. However, constructively, there was not any way for visitors to take action after the exhibition, no way to take the information and make change in the community or voice their discoveries. 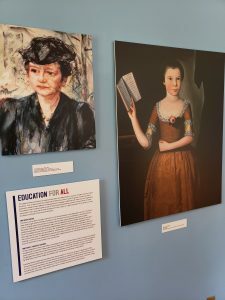 Overall, I think that this exhibit was what one might expect from a historical society with resources and connections like that of the Massachusetts Historical Society. (Photo: Resource Connections) I think their use of technology was very encouraging, however the use of the technology by visitors was less promising as a successful means to connect to their primary audience. It was an aesthetically pleasing exhibition rich with authentic artifacts and texts. Additionally, it provided an online companion website that increased engagement, accessibility, and understanding of the overall story. This included the timeline of events that I needed to develop context, all the video interviews that I couldn’t necessarily hear or was not able to initiate, additional information about MHS collections within the exhibition, and a general overview of the exhibition story. The MHS team also provided five specific programs, open to the public, over the course of the opening months to give further depth and specificity, and encourage increased visitation. With three quick fixes, 1) increased orientation about direction and scope of the exhibition, 2) directions on how to effectively use the screens and the time commitment that will be needed to view each video, and 3) a few easily placed chairs to rest and enjoy the elegant building, the exhibit would move beyond the status quo of historical society exhibitions to something of a benchmark in the field. The exhibition is on show until September 22nd, 2017. More photos of the entire exhibition are available here.